Vacuworx is headed to Las Vegas for World of Concrete 2019 and we would love to see you there! Concrete contractors are winning bids and saving money using our new Compact Equipment Attachments. Come by our booth (O31229) to see the latest in vacuum lifting technology—and find out how it can help you and your crew work faster, safer and smarter! 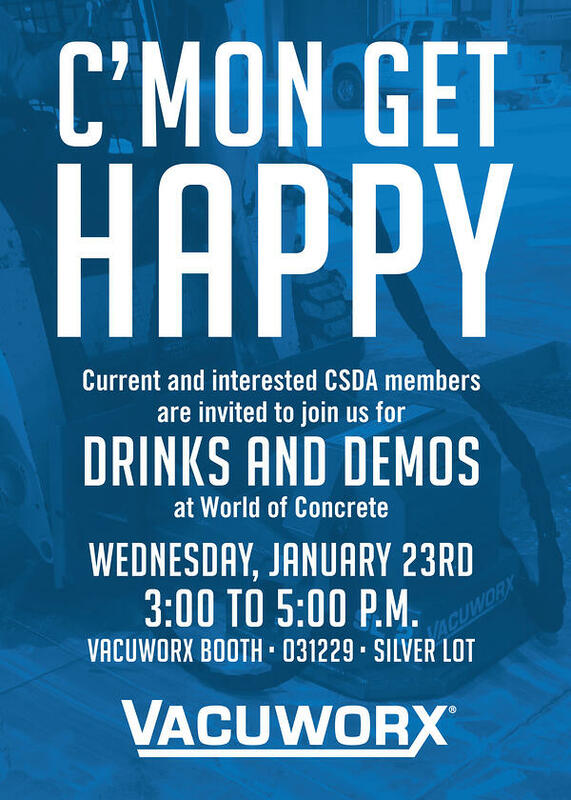 Plus all current and interested CSDA members are invited to join us for a happy hour at our booth on Wednesday, January 23rd from 3:00 to 5:00 p.m. Grab a friend and learn more about our products and the Concrete Sawing & Drilling Association!